The Department of Veterans Affairs (VA) invites you to participate in the National Environmental Policy Act (NEPA) process. Under the authority of the National Environmental Policy Act (NEPA) and its implementing regulations, VA is preparing a Programmatic Environmental Impact Statement (PEIS) to evaluate the potential direct, indirect, and cumulative environmental consequences of continued operation and administration of VA’s Housing Loan Program (HLP). The HLP is administered by the Veterans Benefits Administration (VBA), in the form of loans made, insured, or guaranteed by VA. It also includes housing benefits that can be used in conjunction with the HLP (e.g., the Specially Adapted Housing program). Under the HLP, VBA is also responsible for the management, marketing, and disposition of real estate owned (REO) properties that VA acquires following the foreclosure of certain VA-guaranteed loans and loans held in VA’s portfolio. VA has determined that a Programmatic Environmental Impact Statement (PEIS) level analysis will be required for this project. The PEIS will provide a clear and concise discussion of the potential environmental effects of the HLP, and the PEIS evaluation process will help VA identify and document potential positive or negative environmental impacts, and reasonable alternatives for the PEIS to address. Through this PEIS, and the NEPA process, VA will evaluate the potential physical, environmental, cultural, and socioeconomic effects of the HLP and use the study to inform potential future planning and decision making related to the HLP. 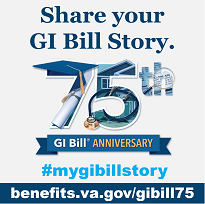 VA invites federal, state, tribal, and local entities; non-profit organizations; businesses; interested parties; and the general public to be involved in the process. VA will consider all scoping comments in developing the PEIS. Ideas about alternatives and ways to minimize the HLP’s potential impacts.